I recently returned from a trip to Wyoming (my first); a trip I was incredibly excited to make. The landscapes, and the dark skies, promised some epic photographic opportunities. My lack of skill – both in the execution of the shots and on the developing side – cannot be blamed for the finished product. I was given every opportunity to pull off the kinds of portfolio stuffing images most of us live for. That being said, it’s not going to stop me from sharing them, anyway. 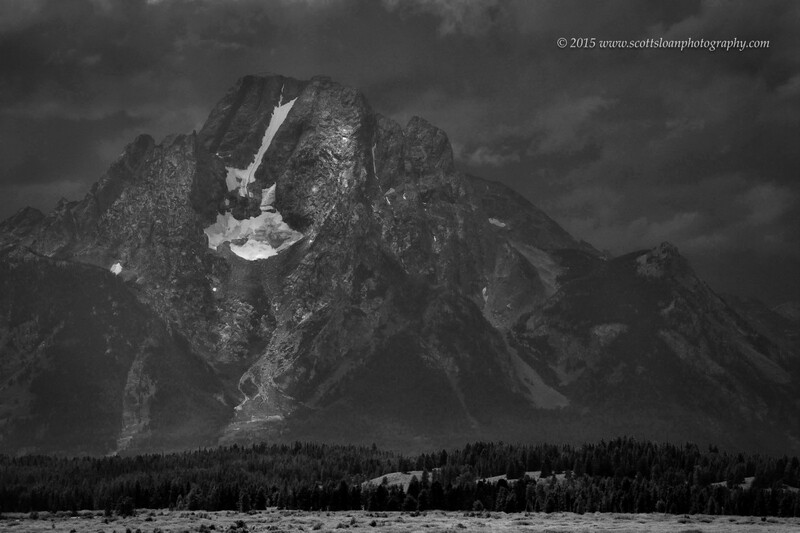 An image from the Grand Tetons National Park. Mt. Moran, if memory serves. There will probably be a bit of overlap, with the written word blog I maintain. I sort of apologize for that, in advance. But work is going to pick up. And there’s all the other things that raise their ugly heads around this time of year. Those of you who don’t know what I’m referring to are dismissed to the playground for recess.